This Sony Xperia Tablet S replacement part is the digitizer touch panel only and the front glass has already attached. 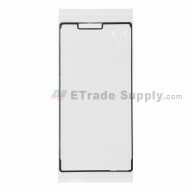 This Xperia Tablet S digitizer part does not include the LCD screen. 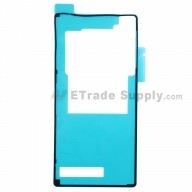 This Xperia Tablet S touch screen digitizer does not include any logo. The flex cable of this Sony Xperia Tablet S digitizer is very sensitive and is easily damaged. Handle carefully. 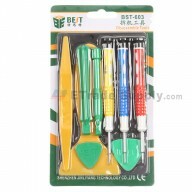 The installation of the Sony Xperia Tablet S digitizer touch panel part should be done by a qualified person. ETS is not responsible for any damage caused during installation.